James Gray’s sci-fi movie Ad Astra is a father-son story about Brad Pitt traveling through space to find his missing dad, a possibly evil scientist played by Tommy Lee Jones. 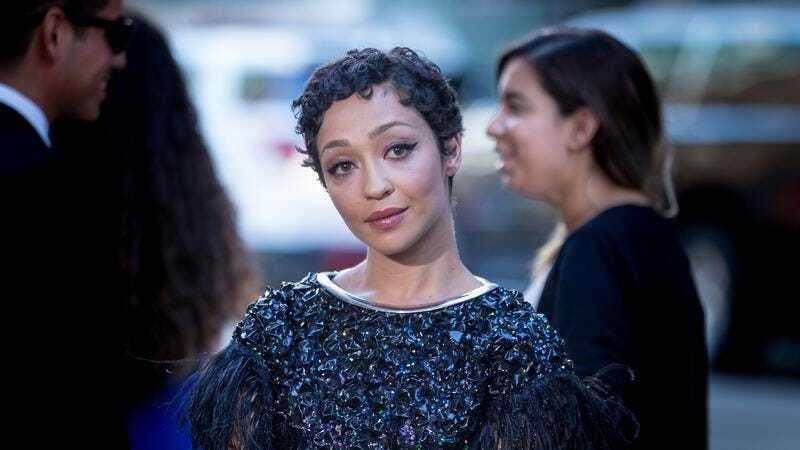 Now, The Hollywood Reporter says that those two old men will be joined by Ruth Negga from Preacher, who has joined the film in some secret role. We don’t know anything about this secret role, but since we also don’t really know if this is a sci-fi movie like Valerian or a sci-fi movie like Interstellar, it’s hard to say if she’ll even be a human or some kind of space creature. In addition to directing, Gray—who previously directed The Lost City Of Z—co-wrote the script with Ethan Gross, who wrote a few episodes of Fringe.